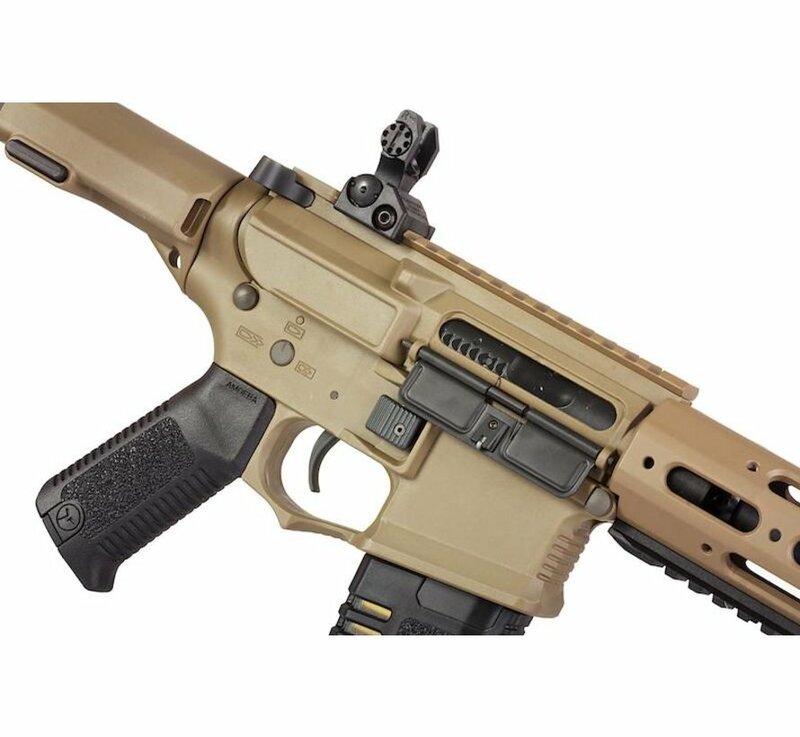 Ares Amoeba AM-013 EFCS (Desert). 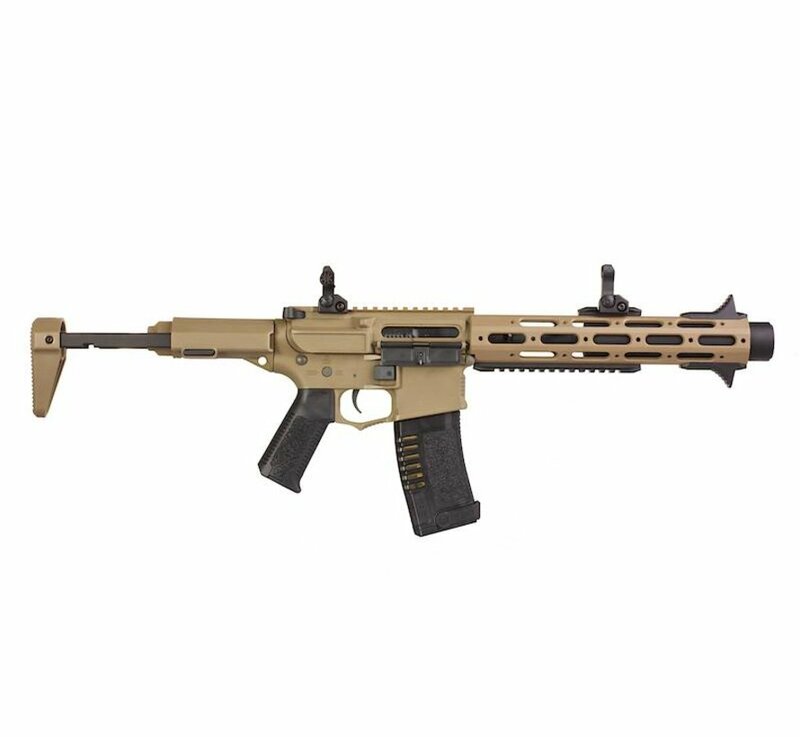 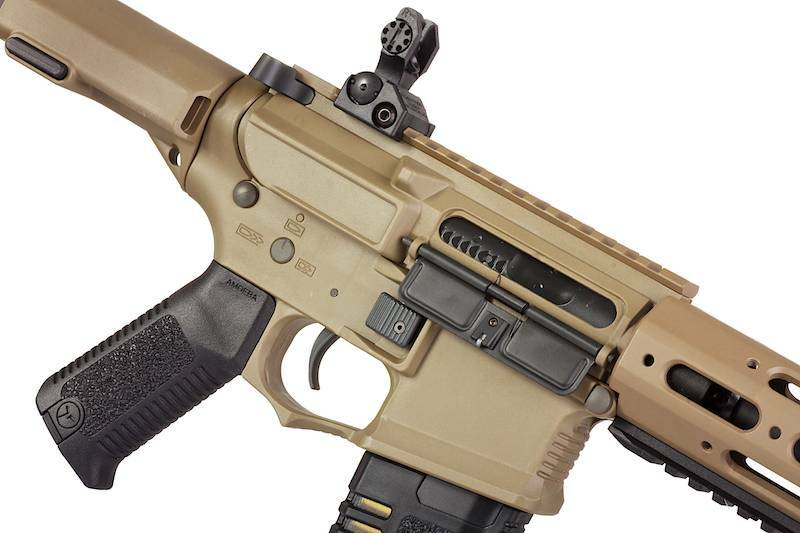 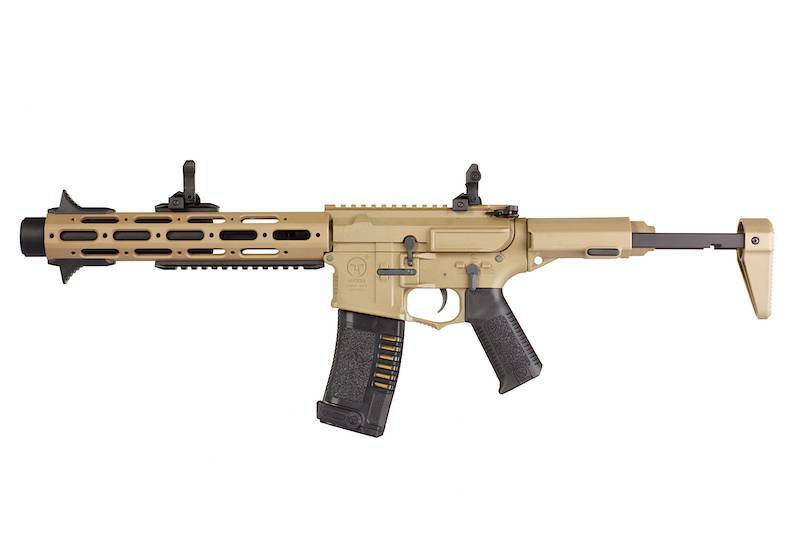 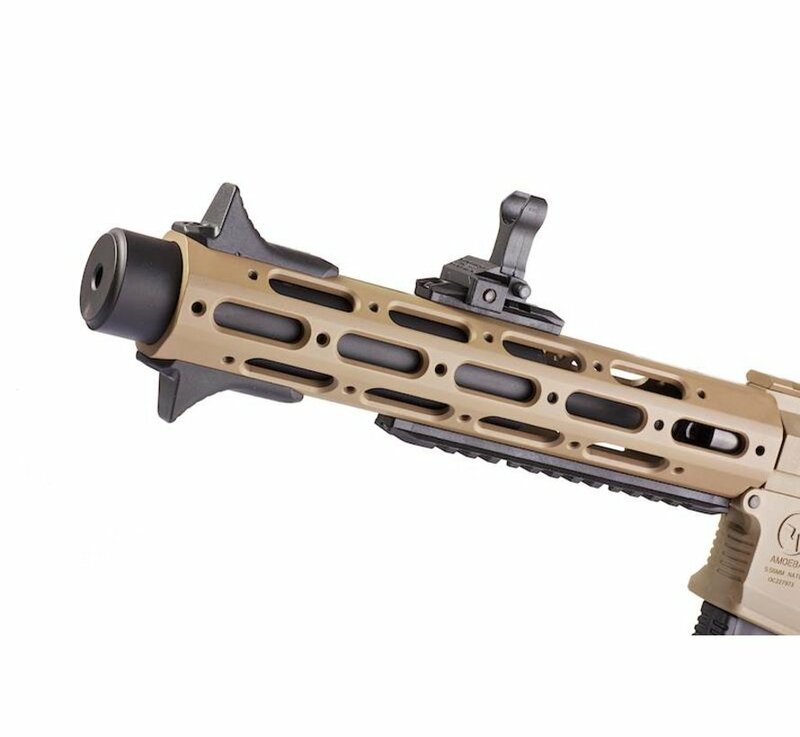 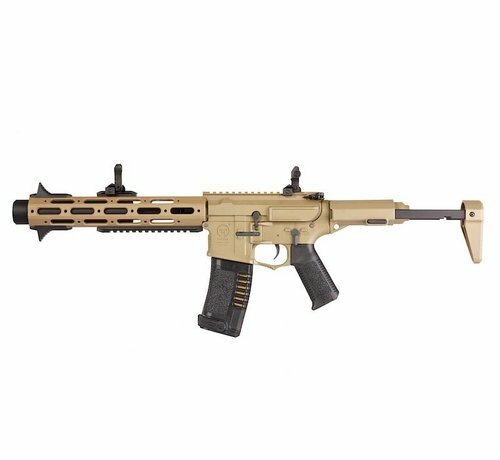 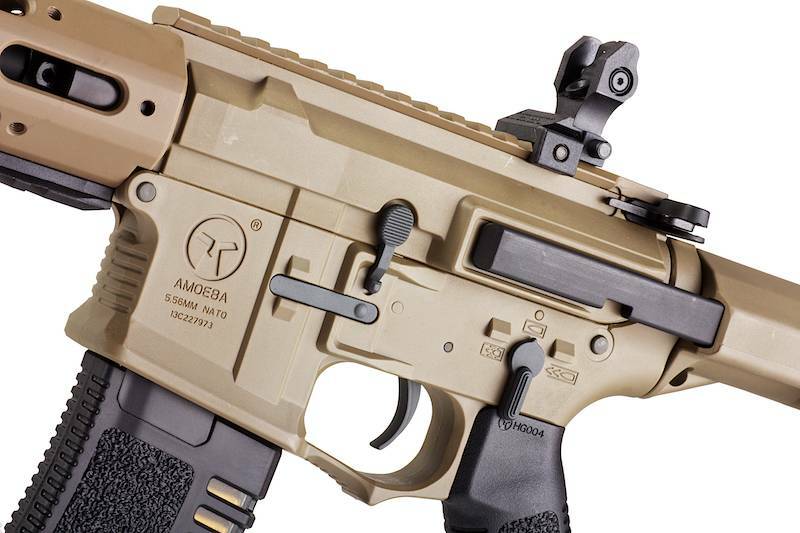 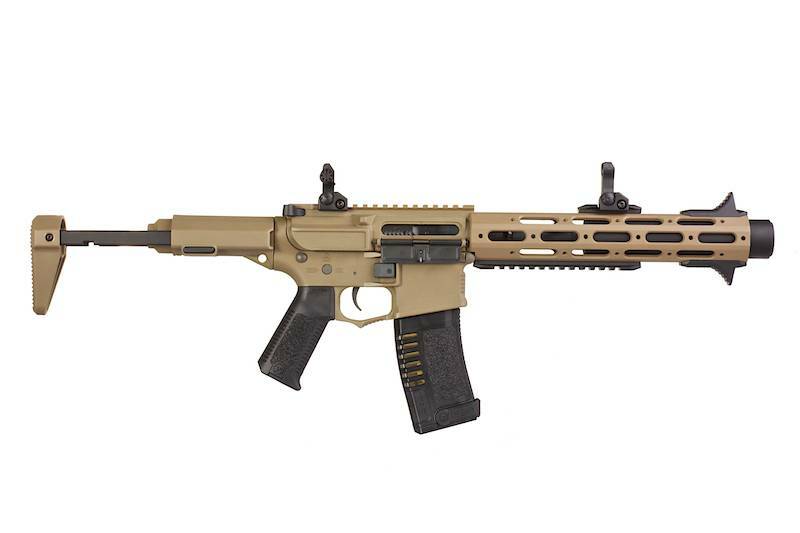 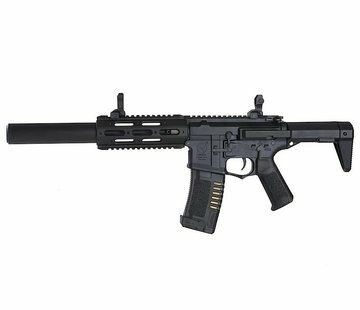 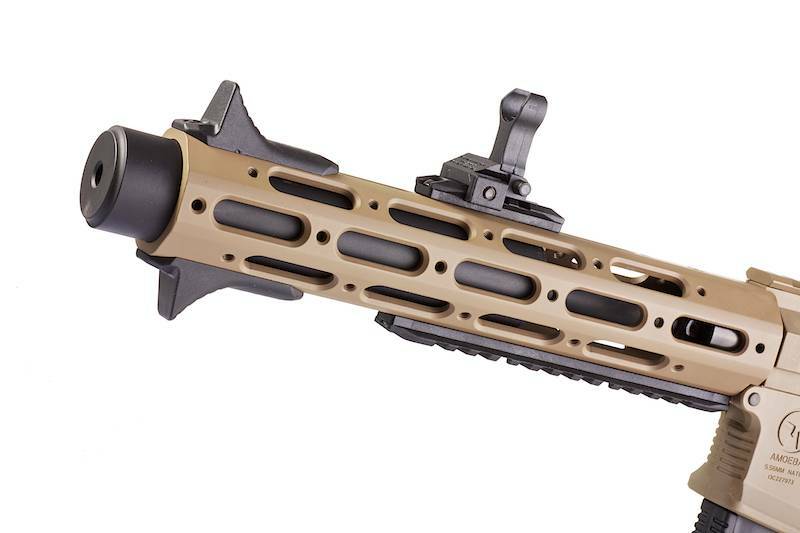 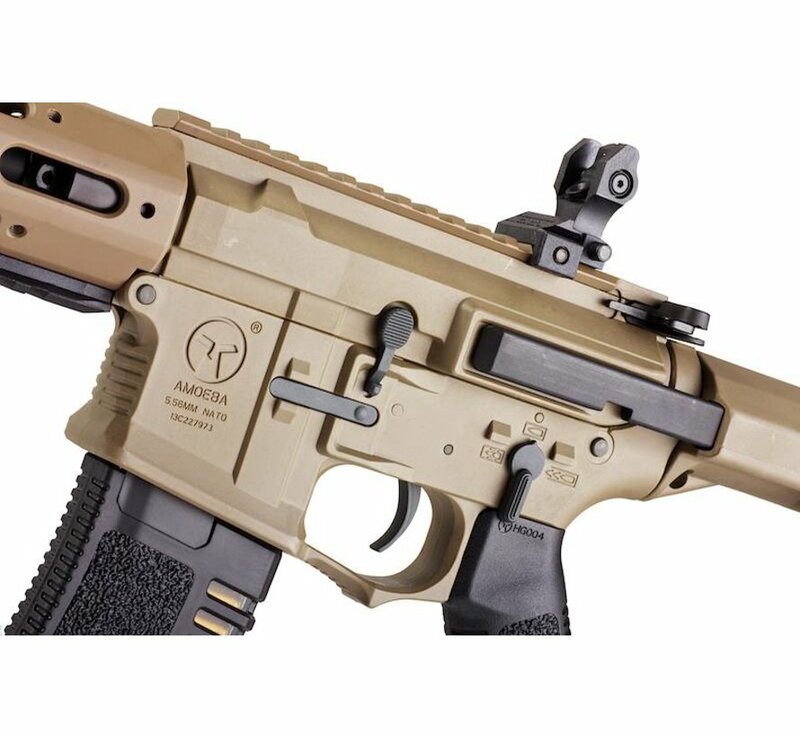 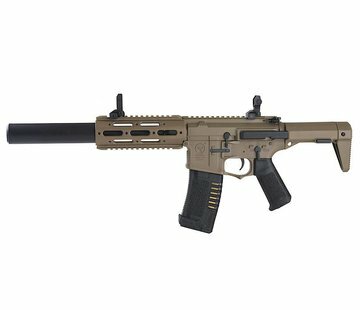 AC Honey Badger PDW is an CAR-15 based assault rifle / PDW in caliber .300 AAC Blackout produced by Advanced Armament Corporation, a subsidiary of Freedom Group. The weapon is named after the honey badger. 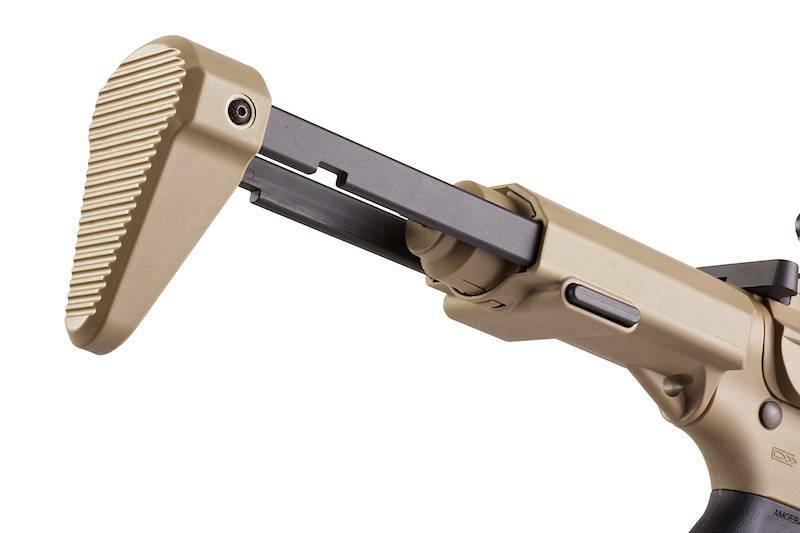 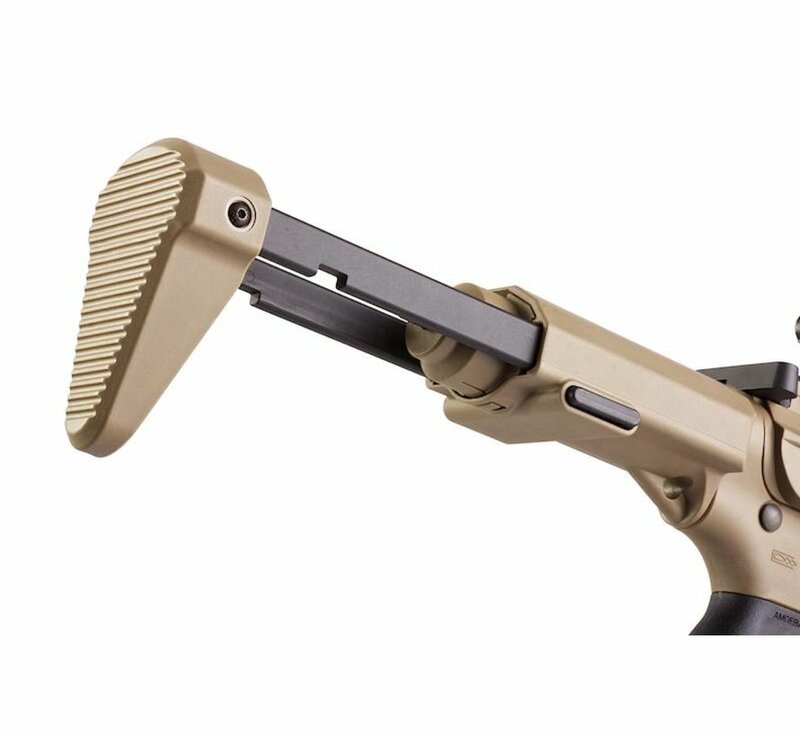 It works with the ARES / Amoeba Electronic Gearbox Programmer for ARES Electronic Firing Control System Gearbox so you can set your AEG to burst fire if you prefer. 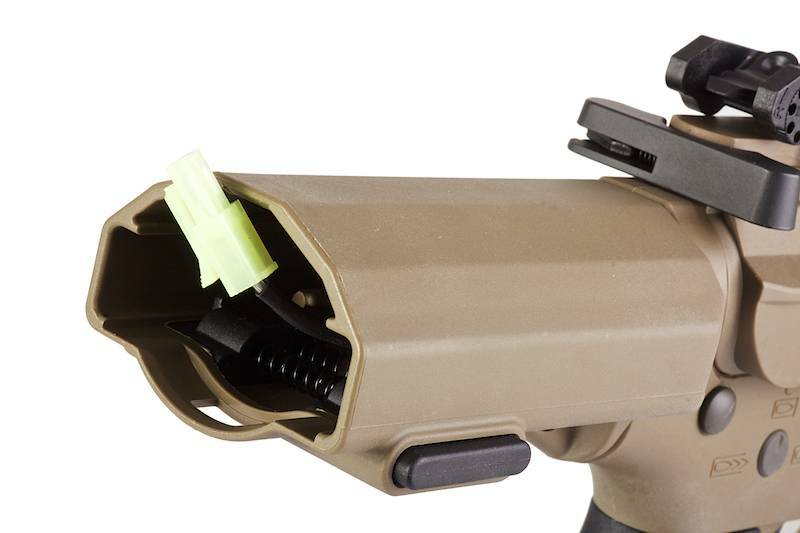 The trigger response is excellent and works best with a 11.1v PEQ battery which is stored in a small compartment of the stock. 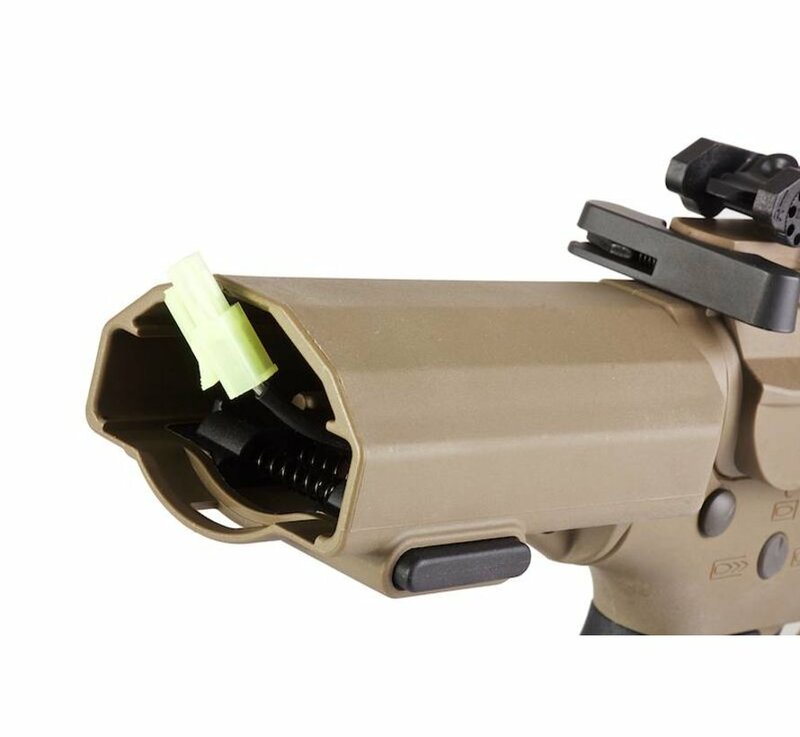 It's a little fidgety, but it fits perfectly so you don't get any rattling.